It always makes me laugh when a film tries to promote itself by what other films the executive producer has worked on, as if the man overseeing the money has an artistic control over the end product. 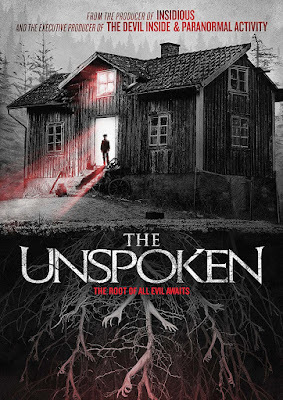 This is what The Unspoken has done with its marketing, as well as changing the film’s original title (from The Haunting of Briar House), plastering the names of films like Insidious and Paranormal Activity over the cover of the DVD because of their vaguest connection with this one. There may be some similar scares within this flavor of haunted house tale, but the script is an absolute disaster which cannot be recovered from. The film begins with a haunting sequence that may have worked fantastic as a standalone short film, heavy on style and mood before there is any need for narrative. 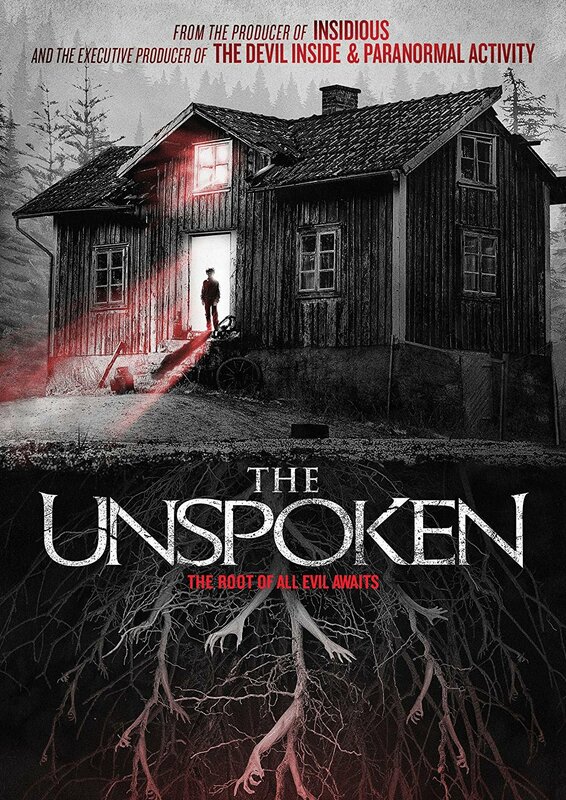 A police officer arrives at a house in the middle of nowhere and finds a number of strange occurrences, including the complete disappearance of the family residents. Every haunted house trick in the book is thrown at this first sequence, which doesn’t really leave the film anywhere to go but down. After this unexplained prologue, we jump forward in time over a decade, to the arrival of a new family moving into the notorious secluded home. This family is single mother Jeanie (Pascale Hutton) and her derivatively mute son, Adrian (Sunny Suljic), neither of which is at all concerned with the troubled history of the home. In an unfathomable gap in logic, despite moving into a run-down house that looks likely to collapse from a decade of neglect, there is more staff hired to help out than there are members of the family. With a cook (Rukiya Bernard), a handyman (Michael Rogers), and a babysitter hired to work on the property, it is quite clear that screenwriter/director Sheldon Wilson is stacking the deck with victims, regardless of the logic in their existence. Sadly, the character that is most illogical is also the film’s protagonist, Angela (Jodelle Ferland). Angela is the babysitter hired to look after Adrian, and she also happens to be the daughter of the nanny working for the family that disappeared from the same house. While this helps to connect the prologue to the main narrative, it also makes very little sense for Angela to take this job, especially when the strange occurrences begin. So as soon as the film begins picking up, it simultaneously stops making any logical sense. There are moments of inspired horror filmmaking within the movie, if only technically speaking. The script struggles from start to finish, and the final twist of the movie feels better suited for an episode of “The Twilight Zone.” That may not sound half bad, but “Twilight Zone” episodes were only 30-minutes and didn’t have such an unbearable supporting cast. Actually, there are a few surprisingly good performances, however wasted the casting may have been. Neal McDonough is a glimmer of hope in the casting as the local Sheriff investigating the events, carrying out his scenes with subtle efficiency missing from the rest of the cast. On the other hand, there is a melodramatic performance by Lochlyn Munro as Angela’s father, which further makes McDonough feel too talented to be a part of the cast. I won’t even mention the cliché caricatures of local hoodlums, who break into the home in order to provide more idiotic victims to the pile.